The athleisure trend has truly stolen our hearts! From stylish sweatpants and leggings to sneakers, we’re all about comfortable, chic ensembles. The more cool clothes we can easily move around in, the better. 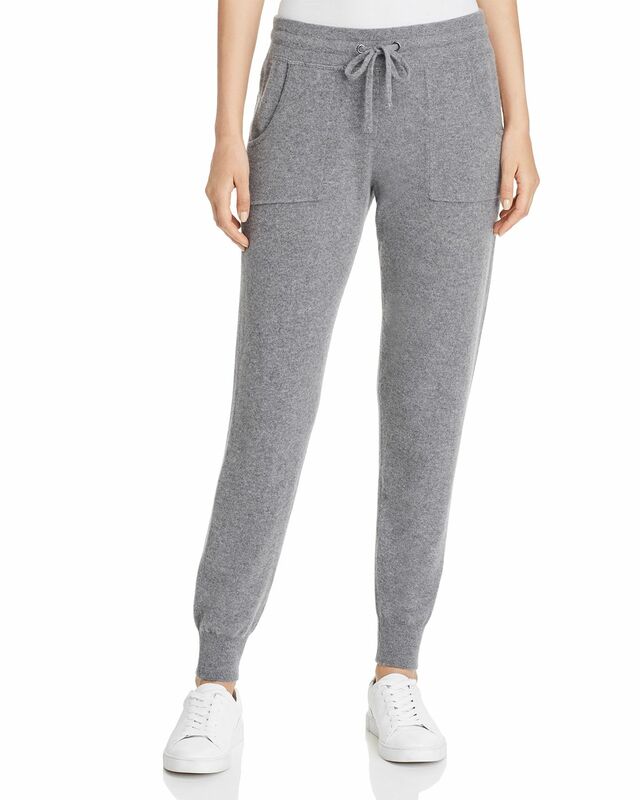 That’s why we could not turn down the cashmere sweatpants we spotted at the Bloomingdale’s Friends & Family Sale! The annual sale is still in full swing, and yes, we are still finding crazy good threads at amazing prices. Case in point, these luxe sweats that we plan on spending every weekend wearing this fall and winter. The C by Bloomingdale’s Cashmere Jogger Pants are exclusive to the retailer and are a closet must-have. From the deep side pouch pockets to the trendy ankle cuffs and the pillow soft cashmere fabric, these sweatpants check off every comfy style box! See it: Get the C by Bloomingdale’s Cashmere Jogger Pants (25 percent off the original price of $198, now $148.50) before the deal ends. We’ll be wearing these bottoms with tank tops for lounging at home, and with a T-shirt, denim jacket and sneakers for a snazzy, casual going out look. Sizes range from extra small to extra large and the joggers also come in this classic black style. We especially love that there is a matching cashmere zip up hoodie for both colors, also marked down during the Friends & Family Sale. Loungewear sets are a forever favorite since they take minimal styling effort. We’ll be wearing ours with a mix of different sneakers and graphic T-shirts. Shoppers who purchased the joggers noted how comfortable they are. Several specifically admitted that the price is appropriate for the cashmere quality. One person revealed that they had been searching for cashmere pants that met their standards and returned several purchases from other brands before they discovered this Bloomingdale’s design. Shoppers also shared that they wore the pants with a variety of picks from their closets, including sweaters, leather jackets and even boots. While Bloomingdale’s noted that the joggers run “true to size,” a few reviewers suggested that they run big and they needed to size down. Luxury lounging, here we come!